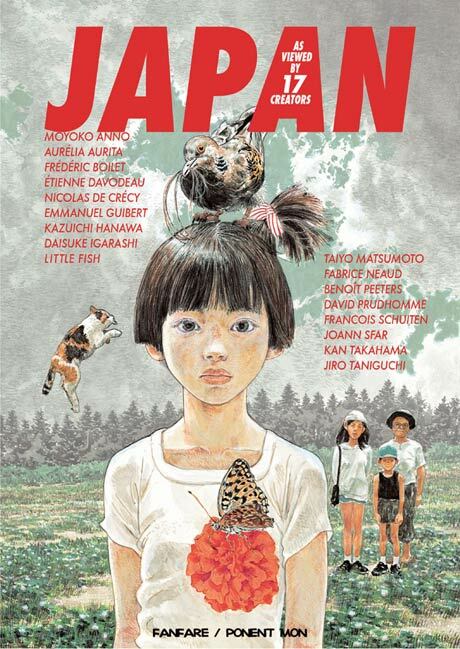 Fanfare/Ponent Mon has re-offered Japan as Viewed by 17 Creators, a marvelous anthology of short works by Japanese and European comic artists. To observe the occasion, I’m going to give away a copy of this great book. So here’s the drill: to enter, simply send me an e-mail mentioning a comic or graphic novel from anywhere in the world that you’d like to see published in English. Nation of origin doesn’t matter, just the desire to be able to hold a translated version in your hands. Of course, not everybody’s first language is English, so if you’d like to see a comic or graphic novel translated from English (or any other language) to your language of choice, that’s obviously fair game. You must be 18 or older to enter. I’m perfectly willing to ship internationally, though it will be cheap, and it will be slow, so I’m just warning you right now. Deadline for entries is 12 noon Eastern Standard Time Sunday, May 9, 2010, and entries should be sent to DavidPWelsh at Yahoo dot Com. The winner will be chosen at random and receive a copy of Japan. After the jump is a Flipped column I wrote on the book for Comic World News in March of 2006. You are currently browsing the The Manga Curmudgeon blog archives for the day Thursday, May 6th, 2010.